This high Victorian Italianate house was built for John McCall, capitalist and state legislator, who founded the Ashland Woolen Mill. 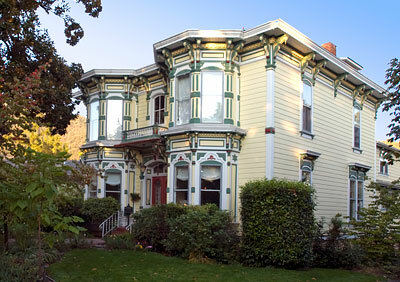 It is the outstanding example of its type and style in Ashland and is one of the best-preserved Italianate houses in Oregon. The McCall House is an example of the distinctive millwork of local builder L. S. P. Marsh. Marsh constructed numerous public, commercial and residential buildings including the Old Jackson County Courthouse, the Isaac Woolen House, and the B. F. Meyer House. Adapted from the NRHP nomination submitted in 1981.